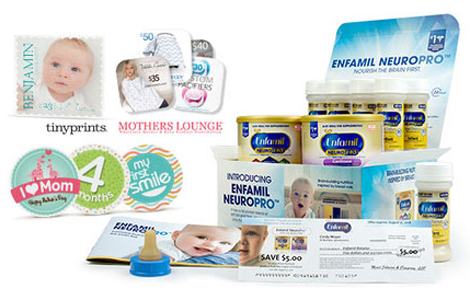 You are here: Freebies » Baby/Kids Stuff » FREE Enfamil Formulas Samples, Belly Badge Stickers and More! Congrats !!!! (: Aww That is Amazing !!! How long until you get it? Hope I get this for my nephew! Just registered for it. First time in this website! I received mine yesterday 10/3/2013. Great gift. I will be more than happy to take advantage of this fabulous freebies especially for my baby!!! I just signed up for this. I’m due in December, but I’m curious on how long it takes before they start sending you things. Thanks in advance! Whoa that is the best! Mine came right on time!!! Mine arrived yesterday! If I’m not mistaken I registered October. Thanks enfamil and hunt4freebies!